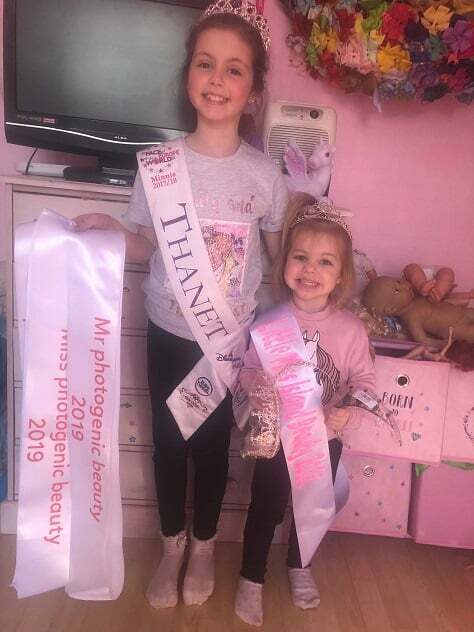 Three Thanet youngsters and an isle business owner will be competing for pageant titles this year. 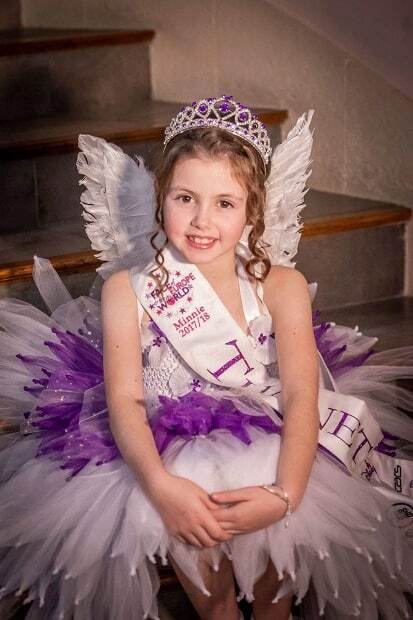 Minster pupil Caitlin Goddard, 8, currently holds the Mini Face of Thanet title and is now competing in both the Face of the South Coast competition to win a place in the Face of Europe Disneyland Paris finals and also hoping to scoop the Miss Fairytale Dream title in May. 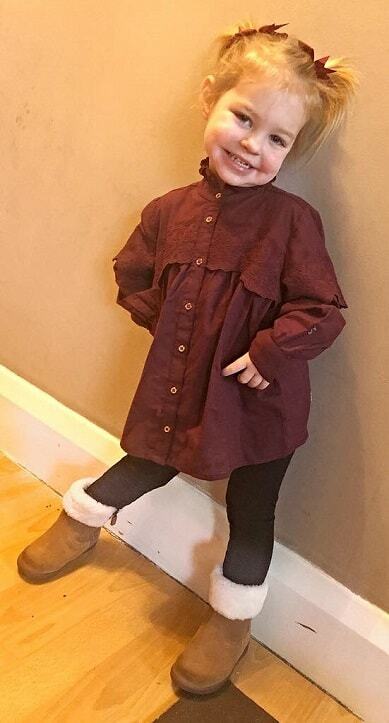 Her little sister Skylar, three, is currently Mini Miss Island Beauty 2018 and will compete alongside Caitlin this year in the South Coast contest. The sisters are raising funds for SANDS, Dorset Children’s Foundation and Headway East Kent. 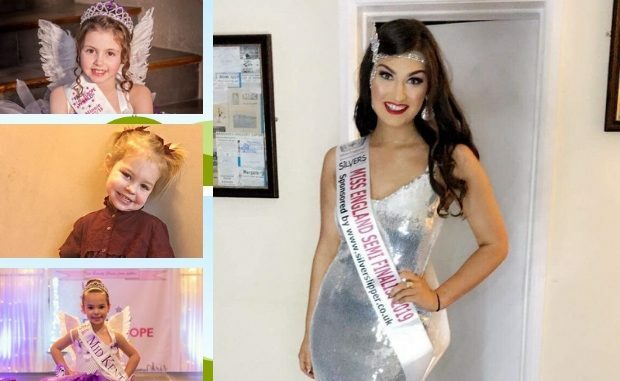 Caitlin will travel to Ellesmere Port for the Miss Fairytale Dream pageant on June 1. She is also holding a charity fun day on May 25 with all funds going to SANDS and Dorset Children’s Foundation. The event is at St John’s Church hall in Margate and runs from 11am to 3pm and will include stalls, face painting,bouncy castle and more. Also taking part in the competition is 2018 Face of Mid Kent winner Aeryn Plewis from St Peter’s. The eight-year-old hasraised £700 for Headway East Kent since February last year with various fundraising events including fun days and discos at Bugsy’s bowling alley, cake sales, raffles and lots more. The youngster says she has no plans to stop yet. 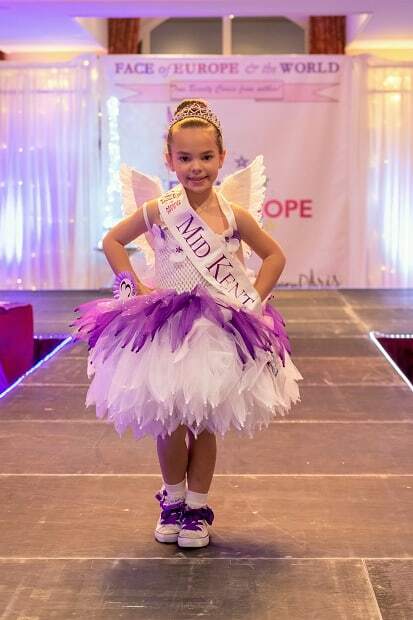 Areryn’s mum Isabelle said: “Aeryn won the 2018 title of Face of Mid Kent back in April last year and went on to compete in the Grand finals in Disneyland Paris in November. The South Coast heat is April 28 at The Grand Burstin hotel in Folkestone. It was founded in 2010 by Gisele Buckingham with the aim of raising money and awareness for the charity Headway East Kent. 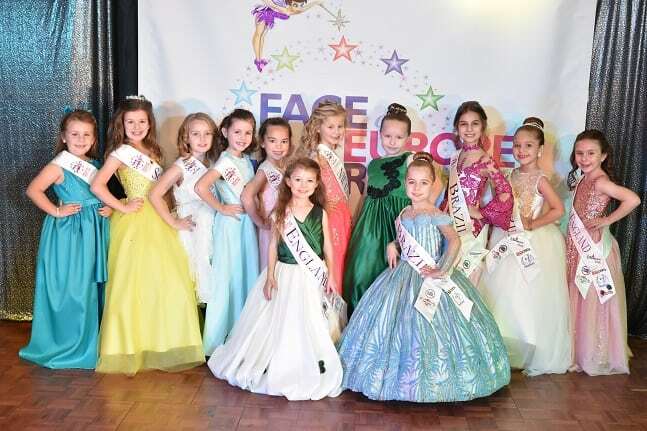 The pageant follows the concept that true beauty is found within, and is a natural beauty pageant focusing heavily on charity work and kindness from all of its contestants. The winner goes on to the Face of Europe finals in November. Prizes include a professional photo shoot and one year membership with a talent agency. Last year Caitlin and Aeryn were joined at the competition by their dance teacher Charlotte Silver, of Silver Slipper in Westgate. 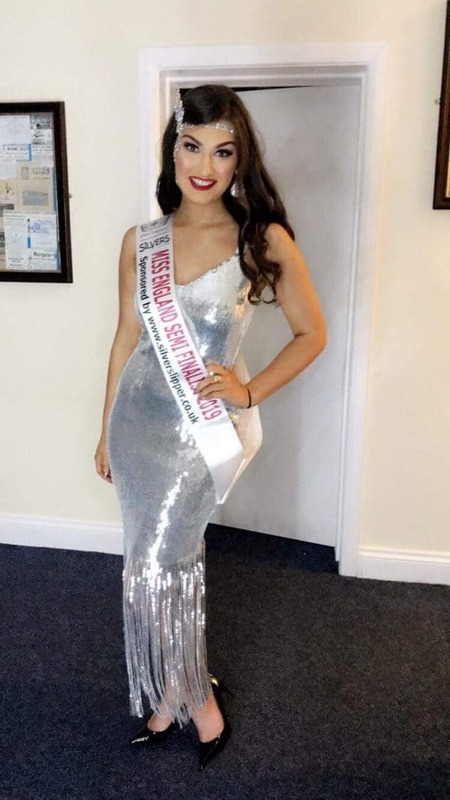 Charlotte scooped the Face of England crown and is now been selected from 22,000 entries to take part in the Miss England contest. If she wins she will fly off to represent the nation at Miss World with an overall price of $100,000. 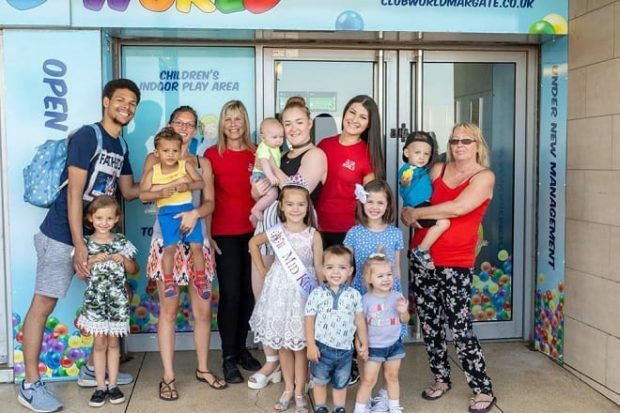 Charlotte, 21, is the owner of three local businesses – the Silver Slipper dance school, Silver’s Clubworld in Margate and Silver’s Entertainment agency. When she was 16 Charlotte was chosen by Jennifer Ellison for a scholarship in her performing arts school in Liverpool. Sadly for Charlotte a back injury ended her dancing career and meant she had to undertake gruelling operations to remove fluid from her spine. She still has to have Fassit Joint injections. After her injury her house was burgled. The BBC screened a documentary on the break in on a show called “Caught Red Handed”. Charlotte’s grandad ‘Popsy’, who had brought her up, passed away when she was 13. He had inspired and encouraged her to dance from her first lessons at the age of 3. At 18 she inherited some money and decided to invest in her future. She said: “ I didn’t want to splash the cash like a lot of teenagers would, holidays and clothes are great but they don’t last forever. “After my injury I had no clue what direction my life was going in and the thought of being jobless and unemployable really concerned me. Instead she opened Silver Slipper and three years on the school has 100 pupils. As part of the Miss England pageant Charlotte is undertaking charity work. She held a PJ party for children with the money going to PAPYRUS – Prevention of Young Suicide- and also plans to hold Special Education Needs events at Clubworld. She said: “I want to use this opportunity to raise as much awareness for PAPYRUS as possible. It’s a charity that means a lot to me as sadly mental health has been something that in the past has affected my life. Charlotte will be competing in the Semi Finals at Pontins Camber Sands on Sunday, June 23. If she wins she hopes to use the title to Inspire other young people to achieve. There is still time to enter Miss England. You can also nominate friends of family members. The competition is for females aged 16-26, who have never been married or had children. I’m not sure you read the article Richard. These pageants are natural beauty pageants. They’re about kindness and charity work, not make-up and swim wear rounds! The girls that enter including my daughter and my friends daughters are lovely, kind girls and I see nothing wrong with them promoting themselves as well mannered, polite children to our local community and raising money for charity at the same time. I think unless you’re going to read the article properly, you should keep your comments to yourself about what other people and their children do in their spare time.